So now that the camera is "available", I got info from support on the 2-pin power connector that is on the camera. The connector seems to be a rarer one, since it is a smaller size 6, at least in Europe according to my web searching abilities. Larger connector sizes 12+ seem to have resellers. Weipu SF610/s2 (1 pin = +ve(voltage)) female plug, male plug on the camera is most likely the SF612/p2. I have not found any "free shipping" suppliers, not so keen on courier fees from china on few 3€ plugs +VAT since then the sum would go over the threshold on imports that my country taxes vat on. Last edited by Cooper on Tue Oct 02, 2018 6:57 pm, edited 2 times in total. It seems the same as a Wooden Camera connector. Feels like this is going to be an essential accessory, especially given the reasonable price from BMD. ErikOlson70 wrote: Feels like this is going to be an essential accessory, especially given the reasonable price from BMD. Yeah, this and the mini-XLR to XLR adapter. Size 6? Size 12? C’mon BMD start putting these little details in the specs (gads I hope it’s not already detailed in the manual I haven’t read every word there)! All we know for sure is John Brawley told us it was not a standard Lemo 2-pin power connector. I’m ordering both the cables from BMD but still good to know what it is. any links on where to order those plugs? I want to connect it to some LiPo packs with 3S + 4S (14.4V and 16.8V) that I have lying around in masses from my RC hobby. Michael, the first post in this thread from Cooper has the complete and accurate information. maybe Weipu SF610/s2 is correct, but I still couldnt find anything online where to order... especially someone who sends to europe, regardless of shipping costs. so are there any URLs / shops, you know of? I hope someone starts selling smaller cables, because that Wooden one is stupid overpriced. I’d get the BM one but I don’t know how to solder cables. Chris, the Wooden Camera cable, is a custom cable made to length from quality materials. I have one of their Mini XLR to regular XLR power cables, very well made. These are not mass produced Asian sweatshop made cables. It takes a good tech about 15min to make up a cable, if a bench is already setup for making them, with all the bits at hand. Figure shop time at $120 hr, plus the cost of the parts, and $60-75 is reasonable. I used to charge this much plus cost of the connectors 10 years ago when I made up custom audio cables. You get what you pay for. Michael, look at post #45 in this thread. Review the entire thread for other leads, but the connector is hard to come by it seems. Conjecture is BMD bought out their current supply! Tilta’s half and full cage for BMPCC4K has the right-angle accessories I believe you are wanting. There’s a link to it in the forum. They have right angle usb and such but no right angle power. However, I suppose I could just get a dummy battery instead of trying to find a right angle 2-pin. Brady, my mistake going from memory. They have two 2-pin cables but neither is L shaped. I thought they had thought of everything, but I was wrong. You know if you contact Tilta they may agree they should include an L-shaped 2-pin connector. I suspect the difficulty is that it’s a locking connector that takes some pushing and pulling to tock and unlock. That action may be problematic for a L-shaped design. Wouldn’t hurt to ask them. The OEM may even agree and make one! Last edited by rick.lang on Tue Nov 06, 2018 9:56 pm, edited 1 time in total. Maybe in the future it would be handy, but I need something quick! I will probably go the dummy battery route for now although I just noticed that the damn battery door doesn't come off easily (or at all without breaking it). Blackmagic strikes again! rick.lang wrote: Brady, my mistake going from memory. They have two 2-pin canoes but neither is L shaped. I thought they had thought of everything, but I was wrong. You know if you contact Tilta they may agree they should include an L-shaped 2-pin connector. I suspect the difficulty is that it’s a locking connector that takes some pushing and pulling to tock and unlock. That action may be problematic for a L-shaped design. Wouldn’t hurt to ask them. The OEM may even agree and make one! Michael, you can email Conrad.de support, as they do have the bigger Weipu connectors in stock, if they can order the smaller SF6 series for you. I've already emailed Conrad.at about that and got a ticket number and a reply where they ask how many I'd interested in, but since then I've been stuck in support limbo with no answers anymore. I could drive over to a Conrad store with the camera+power supply in hand. Do you think that would help in finding the correct part number? Note: I recommend to somehow mark the top-side of that connector. Getting it in in the correct orientation with a cage in dim light is nearly inpossible. MarcusWolschon wrote: I could drive over to a Conrad store with the camera+power supply in hand. Well, that might speed things up. The questions is if they can special order that part or not. I guess it will be possible, as they have Weipu parts in their online store, just not the parts we are looking for. The only answer was "we don't have it". The clerk wouldn't let me explain a single word. I tried the service desk and he just directs you to the same guy. "sorry, can't help you". Guys! Try to order connector from alibaba. I am almost paid for order, but local supplier contacted me and offered to order connectors. So for now there is two ways. Alibaba or through local supplier. As for local supplier you should ask every company that is official distributor. Half of them will say that its not available. AND also you can order connectors directly from manufacturer. But they shipping orders by DHL or UPS. Thats bit on expensive side for few connector, but ok if you will order dozen of them. Price is about 2,67$ and depends of quantity. For 50pcs they promising good discount. Lesha_kvaz wrote: Guys! Try to order connector from alibaba. As a consumer with <100 parts, I'd use Aliexpress. Is "Weipu SF610/s2" definately the correct size? I don't want to order the wrong one, only to find out after 2-6 weeks random delivery time. Alibaba work with retail to. Supplier confirmed me a pack of 5pcs connectors, with no problem. Just look for those ho sale low quantity 1-100pcs. I have found 4 of them and 3 reply to my (one of them was manufacturer ). Aliexpress suppliers didnt have SF610/s2 yet. Only S6 series connectors they have is corresponding piece (male type). I can not give any guaranty that SF610/s2 if 100% correct, but i have ordered them. Few suppliers and manufacturer confirmed this model as connector that BlackMagic is buying. Was they right or wrong i will se in few weeks when my connectors will arrive. We have been told that /S2 designates the female connector and I think it was /P2 I saw that was the male connector that the camera used. rick.lang wrote: We have been told that /S2 designates the female connector and I think it was /P2 I saw that was the male connector that the camera used. Camera have female connector with 2 pin contacts. Lesha, you may have a typo. The Camera has the male 2-pin post, not the female. So as you state the cable needs the female 2-pin socket. Correct Rick. 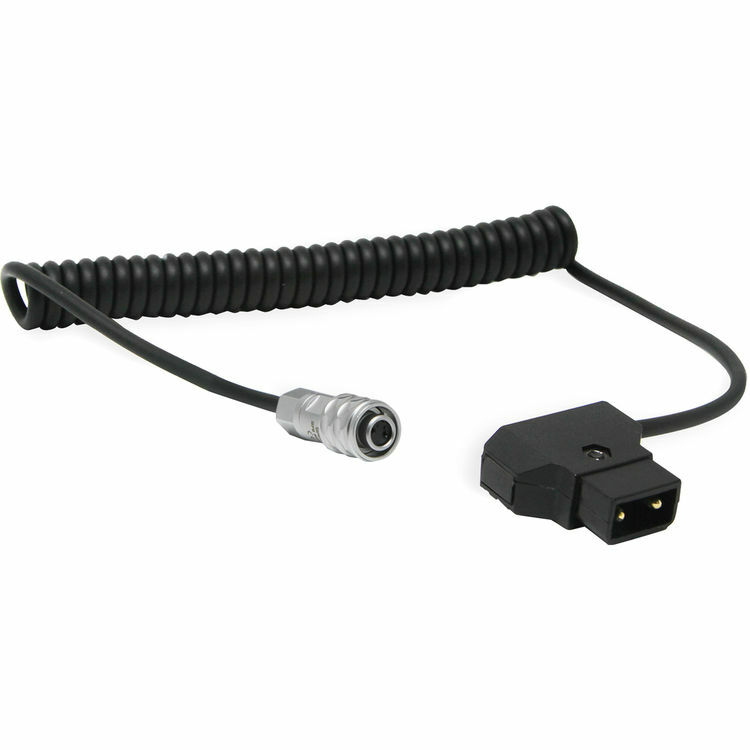 With Audio cables, the “Male”sends the signal to the “Female”, but with power cables, it is the other way round, to prevent shorting out the male pins, if they are “hot”, so the camera has the male, and the cable providing the power is a female connector. Same hold true for power 4-pin XLR connectors. Sounds just like real life around my home. I may do the talking but someone else has the power. Rick, you ”crack” me up! Price sounds great but 7 weeks means January. why not order 25 pieces and sell it internally all over Austria?! Michael Kropfberger wrote: Hi Robert! I was thinking about, yes. I thought it might be even better to let a professional pre-wire the plugs and then sell it, because that would be the most useful for people interested into getting that plugs. Like... buying the 50eur cable pack from Blackmagic that isn't available? I've ordered 10 connectors directly from Weipu who sell through alibaba.com. They've just finished being manufactured and should be shipped out next week. Guess Core heard my prayers. So I bit the bullet and bought the official Blackmagic Pocket Camera DC Cable Pack (65cm), a bit pricy to my liking with VAT and import tax rising the price. The cables arrived today from online store that ships to Scandinavia(+ Finland). 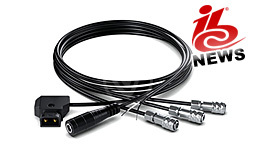 The locking connector is the Weipu sf6 series female plug, and no brand male d-tap and female 5,5/2,5 mm barrel connector, and the cable is AWM 1185 20awg. please check my topic about power and D-tap question! Here's what the connector looks like. It splits into three parts. Made up these cables last week. Here's another cable wired up to a Juicebox. I received my cable pack and while it's not the cheapest package, the extra cables might come in handy. It certainly makes for better cable management now that I've been able to get rid of the dummy battery. Tristan Pemberton wrote: Here's what the connector looks like. It splits into three parts. Tristan Pemberton wrote: Here's another cable wired up to a Juicebox. They've made it real easy to get the right connector for the cam. That's the Hoodman Loupe 3.0". Can anybody tell me what pin should be soldered to positive wire and what to negative ? Lesha_kvaz wrote: Can anybody tell me what pin should be soldered to positive wire and what to negative ? EDIT: Noticed the charger cable has the same opening. Guess I never noticed since I never used that connector to power a camera. Still makes me worry about it. Like what would happen if someone was drinking coffee, and a drop fell into it when the camera was being powered.